Wei Chen – Experts in Puget Sound coastal processes, management, and cost-effective design since 1993. 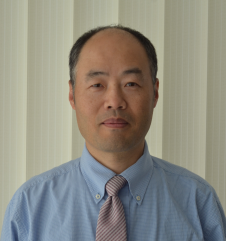 Wei Chen has worked in coastal engineering since 1997 and has over 12 years of experience in the Puget Sound region. Wei specializes in coastal and offshore MetOcean conditions, coastal/harbor wave modelling and hydraulics, sediment transport processes, coastal structures, beach stabilization design, dynamic mooring analysis, and navigation design. Wei has extensive experience with port and marine terminal projects, involving project planning, concept development, feasibility study, design review, and project/task management. Wei is also experienced in coastal and riverine flood analyses, 3D structural analysis, and coastal designs associated with protection structures, beach erosion control, coastal restoration, dredging, and navigation channel maintenance, including strong analytical and modelling skills plus experience with field survey and on-site investigation. Wei has worked on coastal projects around the globe, including Spain, northern Canada, Dubai, Trinidad and Tobago, and the east and west coasts of the United States.